One of the more obvious, and delightful, elements of this story is the role of music in The Master and Margarita. Notably, many characters bear the names of famous composers: Berlioz, Rimsky, and Stravinsky, to name a few. 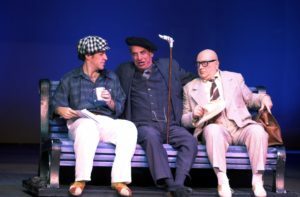 In addition, a number of scenes feature actual music, either being played, or heard on the radio. Consequently the novel often seems to provide its own soundtrack. So what are among the ways Bulgakov uses music in this novel, and what do these say about his musical tastes? 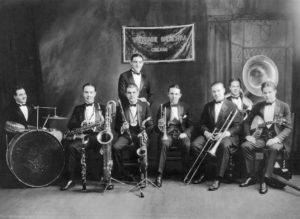 How does he present Jazz music, which in his time was an American phenomenon that was sweeping the globe? 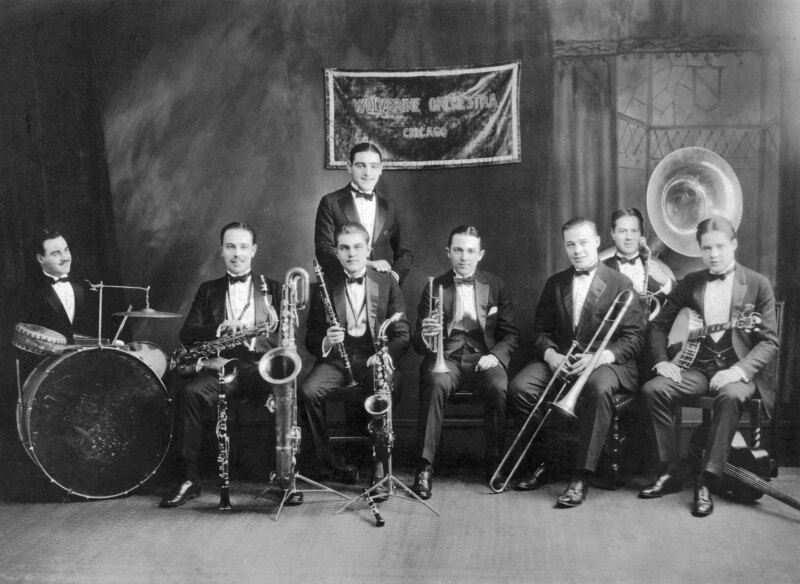 What are we to make of the description, during the party at Satan’s, that the jazz band and the orchestra seem to be “warring” with each other? Does the representation of characters reflect Bulgakov’s view of the music created by a character’s namesake? 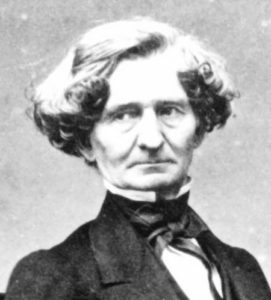 For example: can the music of Berlioz be said to be “bald, and terribly eloquent”? 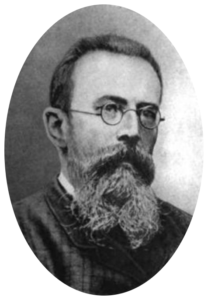 Should the “voice” of Rimsky-Korsakov compositions be described as “sharp and unpleasant”? And could Prokofiev’s music be characterized as ebullient, and with a certain joie de vivre, like Margarita’s housekeeper Natasha Prokofievna? Another related question concerns how Bulgakov felt about radio broadcasts, which had begun airing in Moscow only a few years before he started to write this novel. Especially notable is the music from the opera Yevgeniy Onegin, booming from radios everywhere in Moscow; out of doors, windows, rooftops, basements, courtyards . . . accompanying, and torturing, Ivan as he searches the streets of Moscow for the devious consultant, or professor. Radio makes other intriguing appearances in the novel as well. Feel free to comment on any of these questions, and pose others in this discussion of music in The Master and Margarita. ‘The Master and Margarita’ is a novel that was written, and whose actions take place, in the Moscow of the nineteen thirties. It depicts ordinary Russians living in the capital of the Soviet Union, but confronted with some extraordinary, even supernatural, occurrences. Bulgakov uses this setting to make some subtle, and not so subtle, observations and critiques of Soviet society and politics. 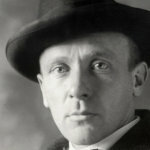 Knowing well that such criticisms were unacceptable to the Communist regime, Mikhail Bulgakov apparently gave no thought to ever trying to publish ‘The Master and Margarita’. In fact, it was not until 1966, twenty-six years after the author’s death, that a censored version was first published in the Soviet Union. Today the ‘The Master and Margarita’ provides a rare, honest glimpse into the day-to-day life of Muscovites at a time when their world was changing at a breakneck pace in the aftermath of the 1917 Revolution. ‘The Master and Margarita:’ Cover, for New, English Language Translation of Bulgakov’s Classic Novel. 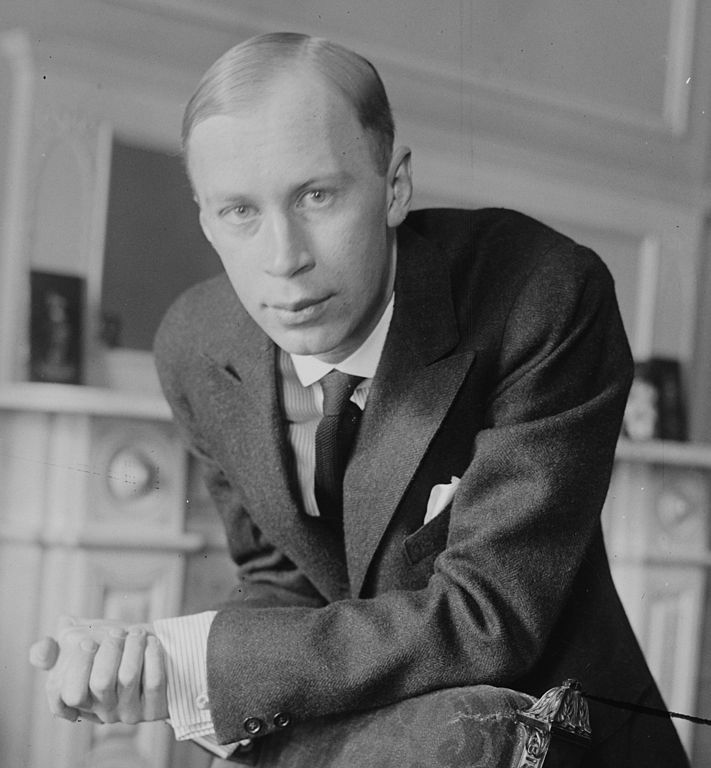 Author John DoughertyPosted on August 12, 2017 October 16, 2018 Categories Language & Translation, Miscellaneous, Russian Literature, Translating Bulgakov's 'Master and Margarita'Tags John Dougherty, Master and Margarita cover, Mihail Bulgakov, Russian art and culture, Russian Literature, The Master and Margarita, Translating Russian to EnglishLeave a comment on ‘The Master and Margarita:’ Cover, for New, English Language Translation of Bulgakov’s Classic Novel. In an earlier post—Sympathy for the Devil in Russian Literature—I compared Bulgakov’s Satan with the Devil that appears to Dostoevsky’s character Ivan, one of the Brothers Karamazov. There are many similarities. Both seem to be gentlemanly, and in Dostoevsky, Ivan is sure that this character is the product of the delirium from his own “brain fever”, in Bulgakov, when the Master first encounters the Satan character, he says, “it would, of course, be much easier to consider you the product of a hallucination.” (These are reminiscent, too, of Scrooge’s argument that the ghost of Jacob Marley may be the result of a “slight disorder of the stomach,” in Dickens’ “A Christmas Carol”). Que Sera, Sera: Margarita Nikolaevna’s Personal Philosophy? 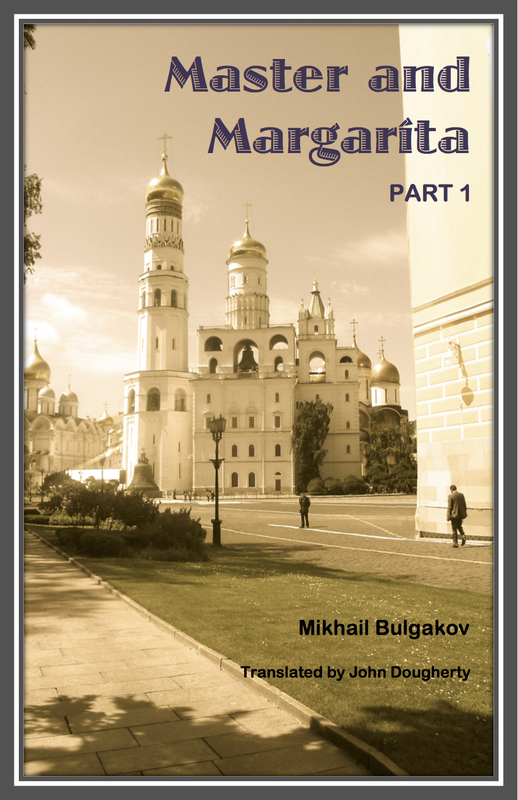 Never having read The Master and Margarita, either in Russian or in English translation, I started on the original Russian a few years ago, but it quickly turned from a reading activity into a full-scale translation project. Within just a few pages I decided that I really wanted to fully grasp the meaning of every sentence and phrase. 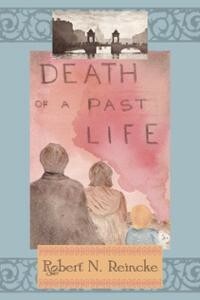 The novel is so rich and beautifully woven that it begs a more careful reading than a glancing, second-language perusal. The cover of my recently copyrighted translation of Master and Margarita, Part I. After completing Part I, I imagined that I could not be any more surprised by what I would find in Part II, but the novel continues to introduce still more astonishing new characters, scenes and details. But the magic cream, broom-rides and flying pig notwithstanding, what I’m really enjoying about Part II is the unfolding of Margarita’s character. She is strong-willed, independent, devoted to the Master, charming, intelligent, resilient, and funny. But there is one sentence in chapter 27 that seems to express the core of her outlook on life, and as such it is proving devilish to translate. This is one of those seemingly simple sentences whose combination of ambiguity and critical importance call for some extra effort to get it just right. The original is: “Все было так, как будто так и должно быть,” and it is used to express Margarita’s attitude, upon reflection the next morning, regarding the supernatural and occult events she had just lived through on the night of Satan’s Ball. 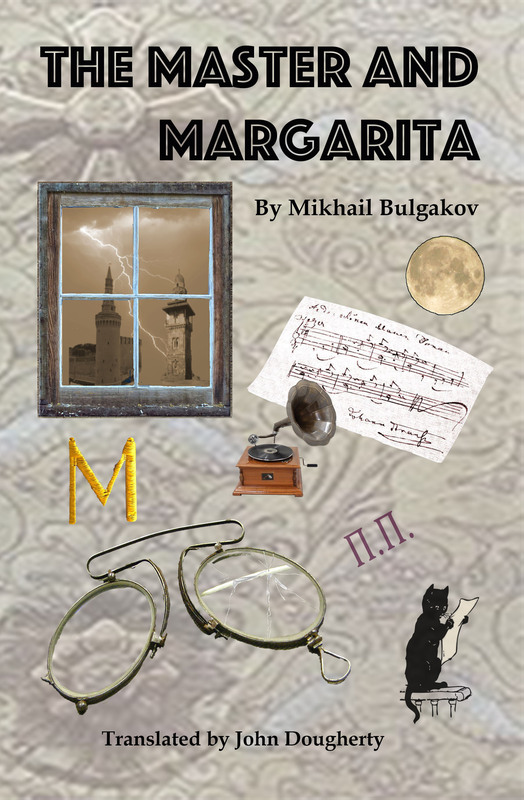 Author John DoughertyPosted on October 5, 2015 September 13, 2018 Categories Language & Translation, Literature, Translating Bulgakov's 'Master and Margarita'Leave a comment on Que Sera, Sera: Margarita Nikolaevna’s Personal Philosophy? Published by Spunky Books, West Hollywood, CA. 484 pp. I recently finished translating Part One of Mikhail Bulgakov’s novel The Master and Margarita, a project that began as a reading of the original Russian language text, but soon became something of an obsession with trying to understand every sentence and turn of phrase. This has been satisfying to me on so many levels: it exposes me to the richness of Bulgakov’s imagination and the beauty of his prose; it exercises my Russian language skills; it deepens my understanding of Russian society in the tumultuous 1930s; it exercises my writing skills; and it scratches my puzzler’s itch. Having arrived at the end of Part One, I started thinking about what would be involved in putting it into book form. I had to think about proof-reading, editing, and designing a cover. I also considered adding an appendix to discuss the importance of names used, and the meanings of their Russian roots. I believed this might be of interest to any reader who was not familiar with the Russian language. But when I later imagined my friends reading this translation, I began to think about providing them some more general background information. The following is the result of my attempt to do just that. I try to explain some of the features of life in Moscow in the 1930s, as far as I understand them, that are integral to the story, but would not necessarily be known to the average 21st century English reader. I would like to try and add to this blog a weekly Russian news feature. In the beginning this will include my translation of, and brief commentary on, a contemporary Russian news piece. These articles will be chosen fairly at random, and from an array of sources. This first article was released last week on the RIA Novosti website. 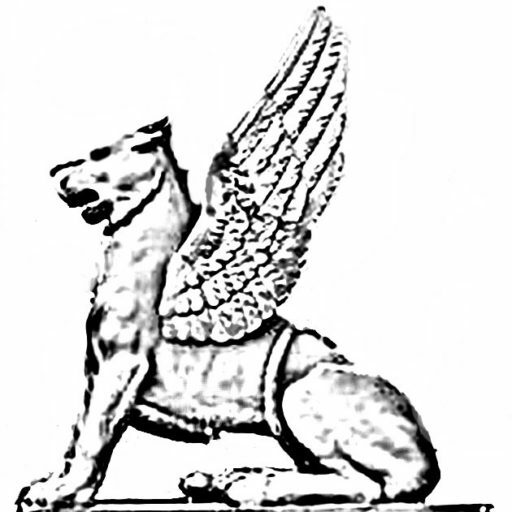 RIA Novosti is a state-run media outlet in the Russian Federation. Report: The press in the U.S. is limited in its access to power, and its freedom of speech. 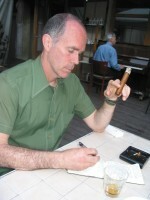 This is me at cafe Квартира 44 ("Apartment 44") in Moscow, enjoying some good Russian food, Cuban tobacco and Kentucky bourbon. I come to write this blog from my experiences as a student of Russian, a teacher of Russian history and with an interest in all things Russian. Since I was a teenager I have worked to reconcile the Cold War narrative in the U.S. of "Russians" as the greatest threat to American Way of Life, with the great genius and humanity I discovered in Russian literature. I feel that the more I learn about Russians, the more I learn about people in general—their successes and failures, hopes and fears, the good, the bad and the beautiful.